Passengers arriving to the New Orleans Union Passenger Station lobby are greeted by a vibrant glimpse of Louisiana history. 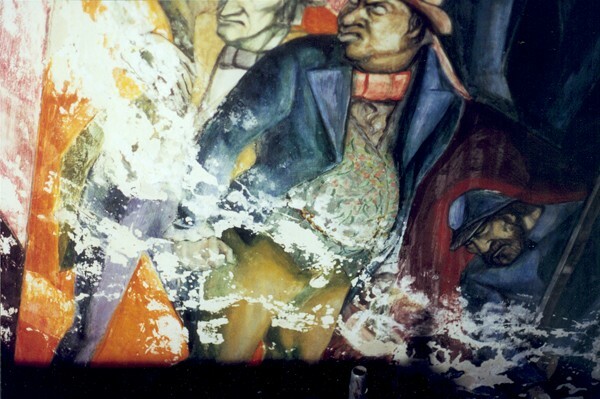 Four massive frescoes depict the Exploration, Colonization, Conflict and Modern age of Lousiana, the work of LSU professor and respected artist Conrad Albrizio. 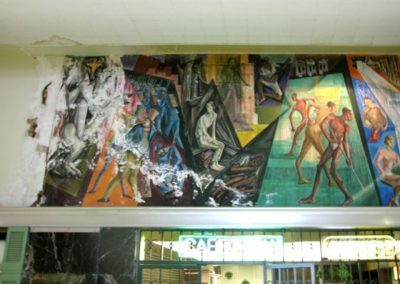 Significant events during each of the four periods identified by Albrizio are communicated through figurative and allegorical frescoes in a modern style. 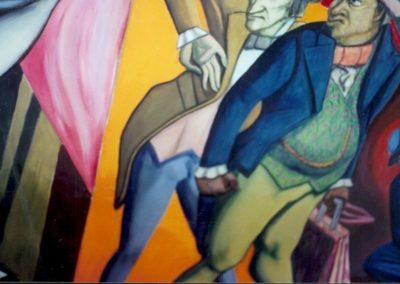 The panels have an underlying abstract geometric structure of dynamic angular and, to a limited degree, curvilinear shapes dividing and supporting the various figurative and allegorical elements. 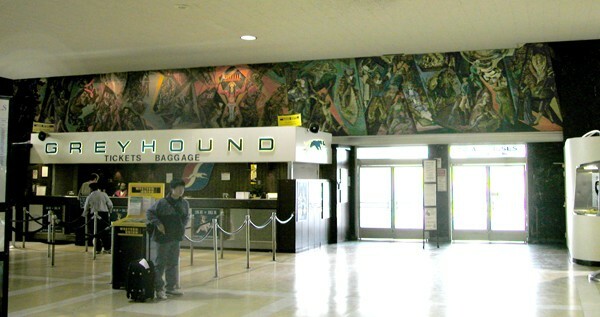 Each of the four panels dominating the upper walls of the main terminal area measures 9 feet by 61 feet. 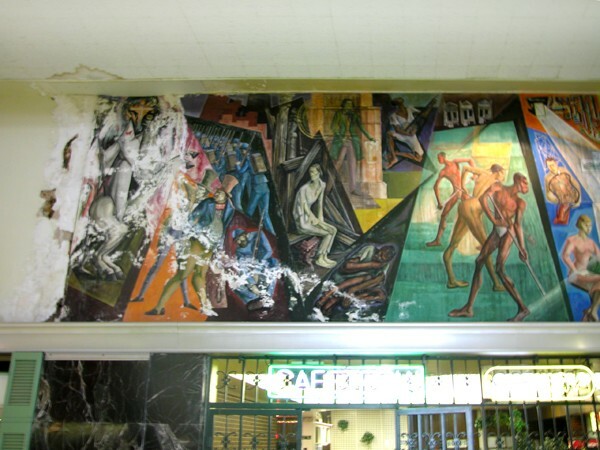 The frescoes were developed over a period of three years and completed in 1954. Suffering major neglect, the frescoes were in danger of being lost. The Albrizio frescoes suffered from long term neglect, exposure to radical extremes in humidity levels, and environmental contaminants, due to structural leaks, leaving the paintings dirty, discolored and damaged. 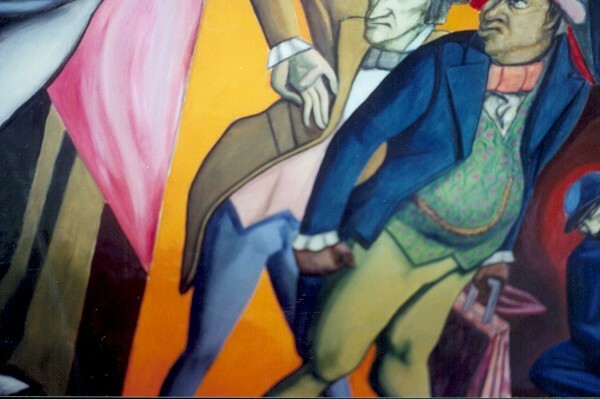 Only a vague sense of the artist’s original intent was visible. Given the scale and differences in solubility, adhesion, degradation and contamination of the various surfaces of the Albrizio frescoes, conservation artists tailored a complex range of approaches quite literally to an area-by-area conservation campaign. 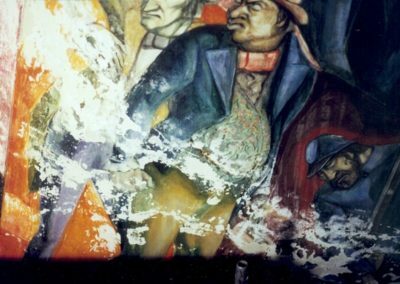 Comprehensive cleaning, stabilization and conservation of mural work revealed Albrizio’s true intention for the Union Passenger Station. The restoration work included stenciling, free-hand highlighting, glazing, gilding and wood refinishing.